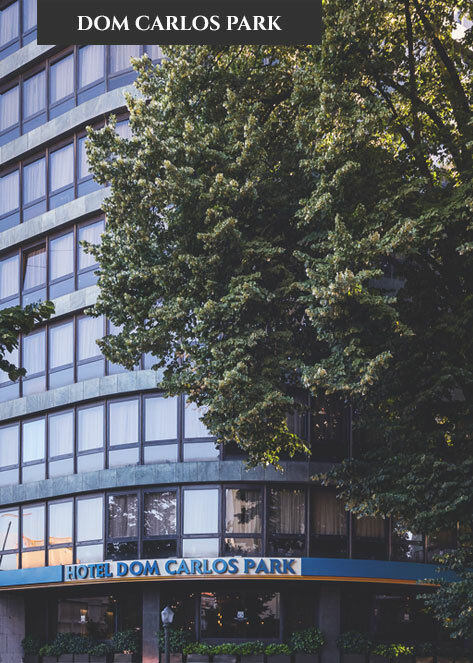 The Dom Carlos Park is a welcoming hotel with a classical atmosphere according to the traditional European hotels. Combining a high level of comfort and modernity, it offers a personalized service that pays particular attention to the smallest of details and undoubtedly contributes to the excellent balance between quality and price, which so characterizes the hotel. Renovated on 2017 The Dom Carlos Park caters now a full range of features on its 76 rooms, such as wi-fi access free of charge, cable channels, LCD Flat Screen TV, adjustable reading lights and digital safes. In addition, changes have been made in the communal areas with the creation of the Dom Carlos Lounge. At breakfast time this integrated space is home to a refined buffet, whilst at mid-day it is transformed into a pleasant lounge with a library, complimentary newspapers and magazines, plasma TV, quality background music, Internet wi-fi access free of charge and a drinks and snacks self-service. Further to this, the hotel includes a meeting room, laundry, public garage (Pre booking unavailable) and a 24-hour luggage service. In its prestigious setting next to the Praça Marques de Pombal, one of Lisbon’s most prominent landmarks, it offers a very special combination of charm and comfort, further improved by the vicinity of the small Camilo Castelo Branco garden facing the hotel. Moderate guest room with 01 double Bed (1.50X 1.90 ) and closet space. In room. Complete bathroom with bathtub. Guest room with 2 twin beds ( 90 x 2.00 ) with closet space. Complete bathroom with bathtub. Guest room with 2 twin beds ( 90 x2.00) or 01 King bed (1.80 x 2.00 ) and closet space. Complete bathroom with bathtub, Kleenex and multiplying glass. Sitting area. Guest room with 2 twin beds ( 90 x 2.00 ) or 01 double bed (1.60 x 2.00 ), separate sitting area with sofa bed and closet space. Complete bathroom with bathtub, Kleenex and multiplying glass. Considered the best Oceanarium in the World, do not forget to visit this area in an area of Lisbon with lots of things to see! Visit the city of Lisbon and receive “Lisboa Card” pass for free, which allows you to know all the city! In a fantastic city like Lisbon, enjoy the best chocolate cake in the world! The Hotel Dom Carlos Park offers the “Sala Rainha Dona Amelia”, which can be used for a variety of different events. 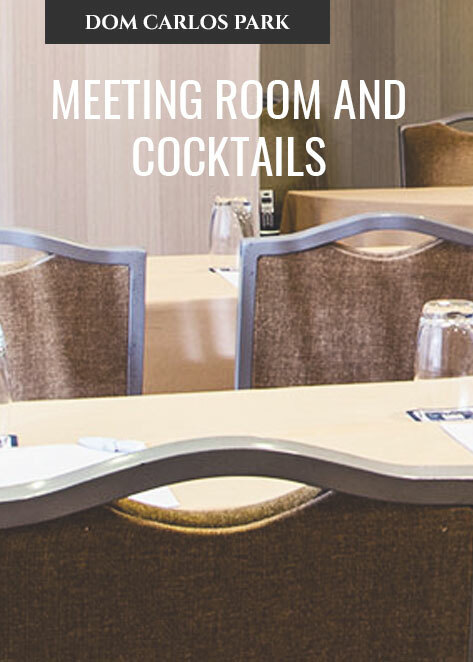 Meetings, conferences, private receptions, exhibitions, cocktails and seminars can be organized by our staff according to your needs. The room is on the first floor and enjoys natural light. It is soundproofed, has Wireless Internet access free and is equipped with audiovisual facilities to help make your meeting a success. For other services or equipments, please contact us. Meeting packages with and without accommodation. Change to Blue Line and go to Sta. Apolónia. Leave on Marquês de Pombal. 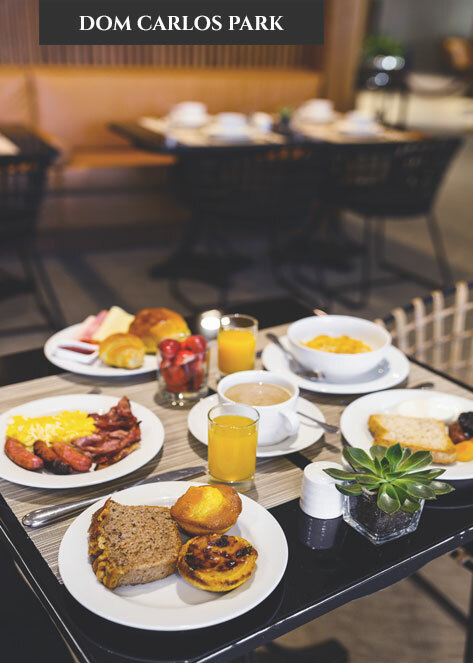 Receive news and promos from our hotels!